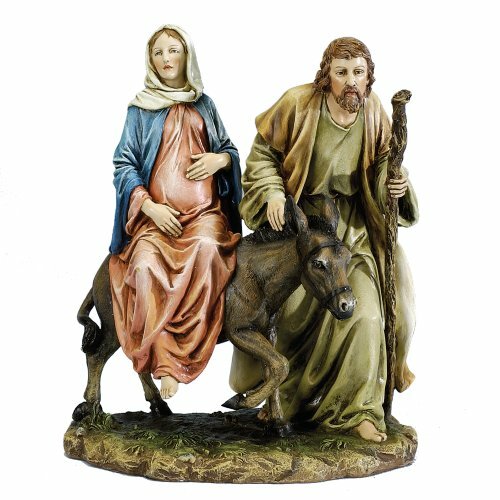 10-Inch Josephs Studio Holy Family and Donkey Figure. Filled with love, Mary and Joseph gaze upon the baby Jesus. Each sculpture is a masterwork of composition and intricate detail. The rich contrast between the soft bisque and richly glazed porcelain and the masterful hand painting make each sculpture a gift to be treasured always. A mother's love, tender and true On bended knee, Mary watches protectively over the Baby Jesus. From her outstretched hands to her flowing robes, every detail of this exquisite figurine reflects beauty and grace. Crafted of ivory fine china and gold, this work evokes the holiness of the very first Christmas. A work reflecting the beauty of a blessed event. The First Blessing Baby Jesus is an inspiring depiction of the tiny infant who was also the Son of God. Accented sparingly with gold, this work is an example of superb Lenox artistry. Expertly crafted of ivory fine china. Capturing the holiness of the very first Christmas Staff in hand and an expression of awe upon his face, Joseph gazes down with admiration upon the Baby Jesus. 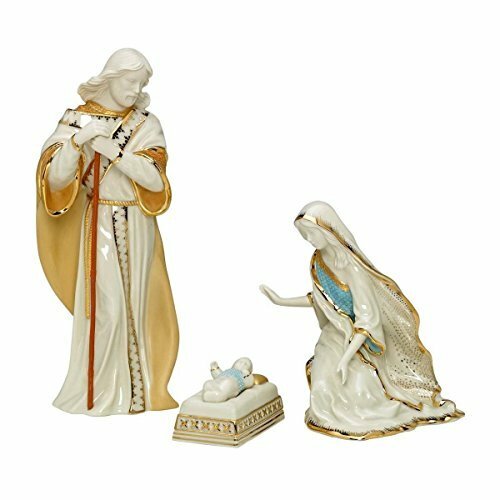 This ivory fine china figurine is hand-designed and ornamented with gold accents. Embroidered robe Mary, Joseph and baby Jesus figurine. Nativity Set Miniature Christmas Holy Family Figurines. 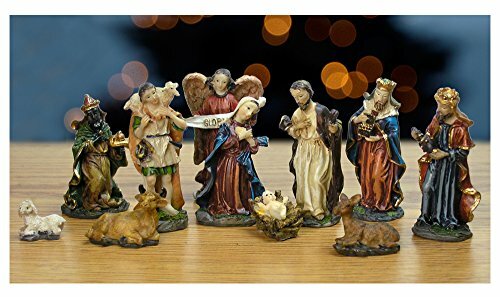 Traditional 11 piece miniature nativity set. Hand-carved look with realistic detail. Made of durable polystone. Figurines range in size from 3/4" to 2.75" height. Baby Jesus, Mary, Joseph, Shepherd, 3 Kings, Angel holding a banner with Gloria, Cow, Donkey and Sheep. 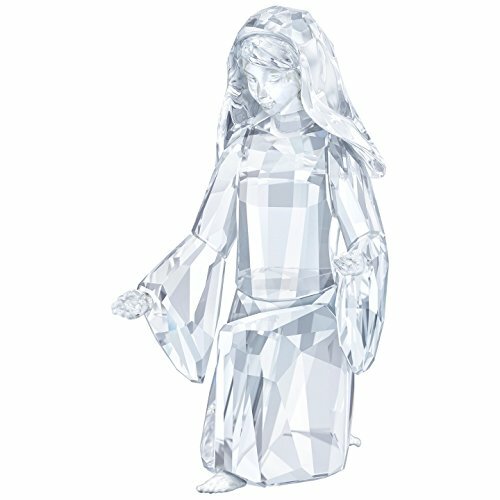 Timeless and serene, this Mary Figurine shines in clear crystal with 506 facets. 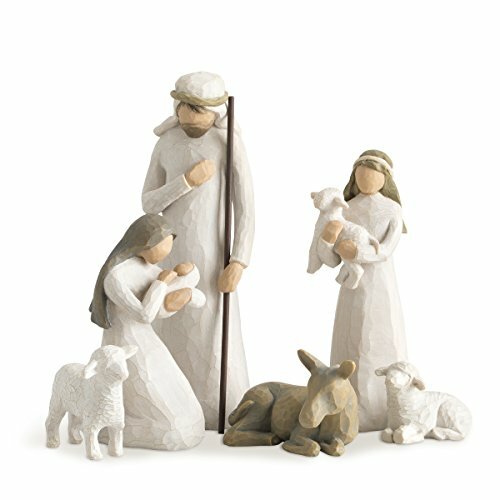 Display together with Jesus and Joseph to create your own stunning Nativity scene. 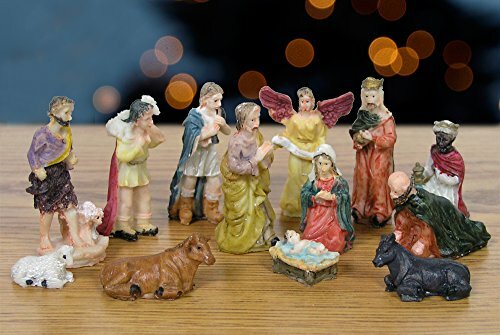 Nativity Set with 13 Figurines 1" to 2.5"H. Made of polystone and intricately detailed. Perfect for apartments or small areas. Children's rooms. Gift boxed in a styrofoam insert which is perfect for gift giving as well as year to year storage. At Christmas or all year round this set will bring the beauty of faith and art to any décor. 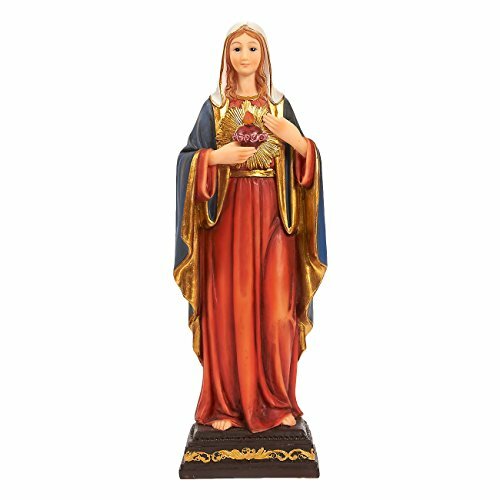 This intricately designed resin figurine of Mary, Mother of Jesus is a must for any Christian holiday celebration, Christian-themed events and religious gatherings. 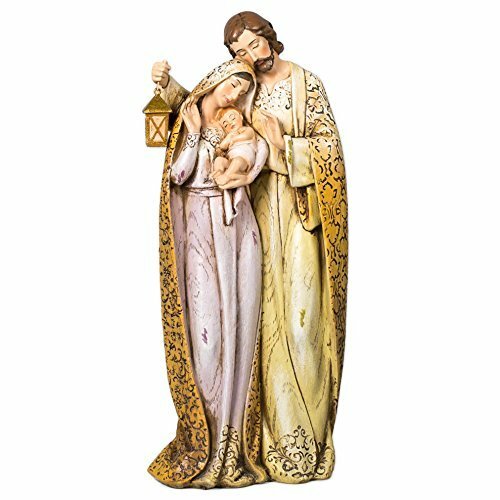 This resin figurine is hand-painted and crafted with care and precision, and is perfect for Christmas time, as a year-round mantlepiece decoration or a figurine to carry with you in times of religious prayer. 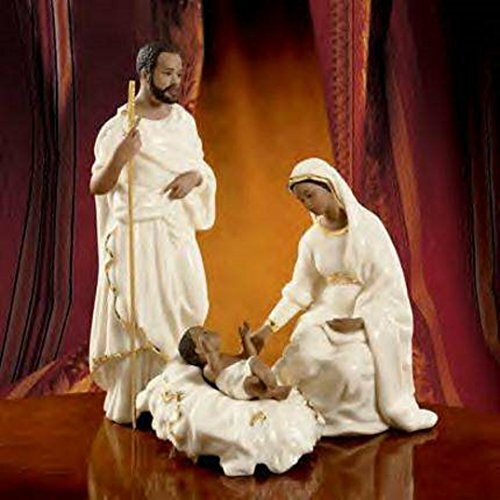 Makes for an excellent gift for Christians of all denominations, Christian Art enthusiasts or religious figurine collectors. 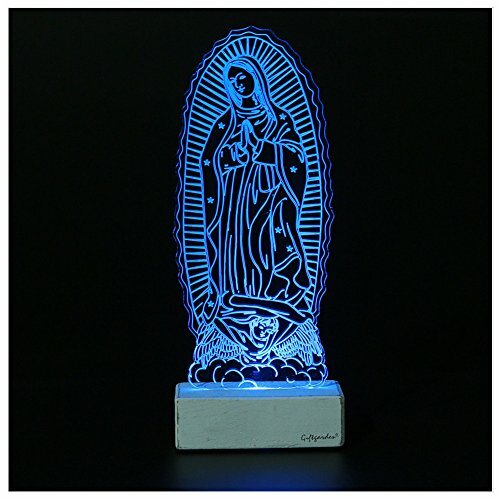 Copyright © Wholesalion.com 2019 - The Best Prices On Mary Nativity Figurine Online.